Infants, children and adolescents with congenital heart disease (CHD) are a challenge to manage and an ever-increasing number are reaching adulthood. CHD is one of the most important topics in cardiology today, yet this book is the only clinically-orientated monograph devoted exclusively to ventricular function and blood flow as it relates to CHD. 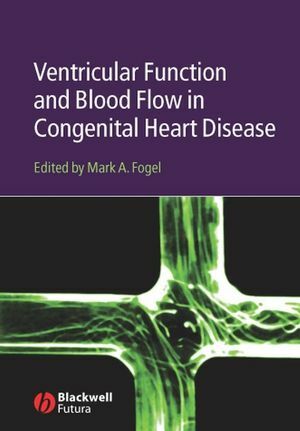 Written by a distinguished panel of cardiologists, bioengineers, physiologists, and clinical investigators, Ventricular Function and Blood Flow in Congenital Heart Disease is an extensive and comprehensive presentation of the key aspects of this branch of CHD. Debra A. Dodd Ann Kavanaugh-McHugh & Thomas P. Graham Jr.